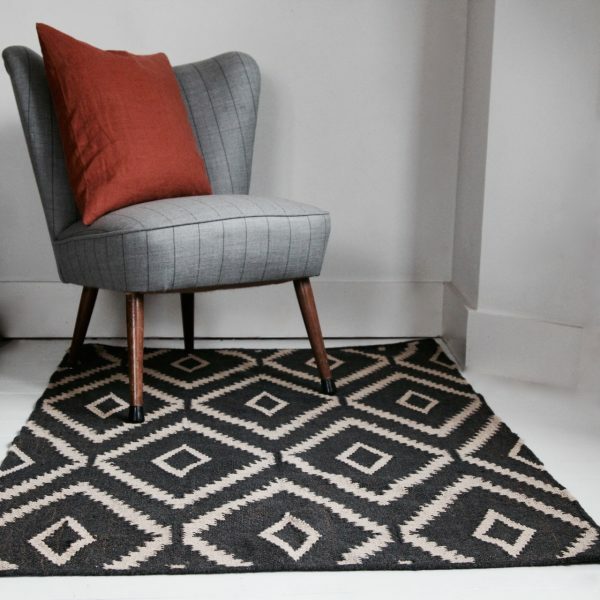 Flatweave vintage tribal/geometric pattern rug. 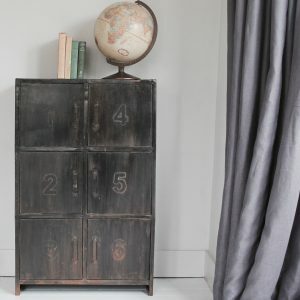 A rich dark grey colour (see images). Made of wool and jute. Lovely natural appearance, hand loomed so with some very slight imperfections that give it character. Useful for all rooms.